A dazzling duo that will certainly complete your glamorous looks is the Lotus Anya open toe shoe and the matching clutch bag Lule. This Lotus sandal in black is beautifully encrusted with diamante detailing, as is the Lule handbag. 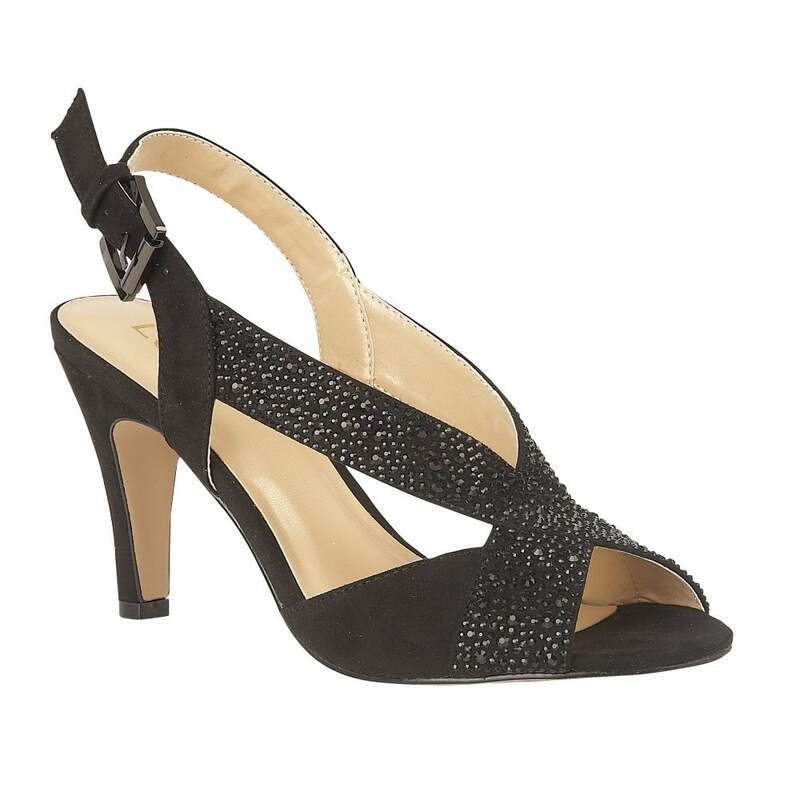 This glamorous ladies’ shoe that is at the optimum of glamorous footwear also features a 9.5cm stiletto heel and an adjustable sling-back.